Image: Virgo, aerial view (Credit: Virgo Collaboration). The gravitational waves provided by the General Relativity are vibrations of the metric of space-time which propagate at the speed of light and are associated with violent astrophysical phenomena, such as the coalescence of two black holes. On September 14, 2015, the two detectors of the Laser Interferometer Gravitational-wave Observatory (LIGO) simultaneously observed a gravitational signal. This one agrees with the waveform predicted by the general relativity theory for the coalescence of a pair of black holes. This is the first direct detection of gravitational waves and the first observation of the coalescence of a black hole binary. 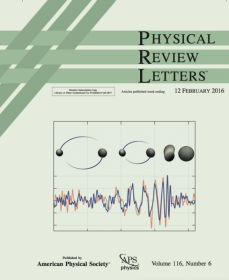 Researchers and engineers from the APC Virgo Group have been involved in this major discovery and are co-signing the article published by Physical Review Letters, which makes the announcement [link toward the article and TDS]. This detection represents an important test of Einstein's theory. It is also the birth of a new "gravitational" astronomy, endowed with a strong scientific potential(1) and complementary to the conventional astronomy, which uses the electromagnetic radiation.. 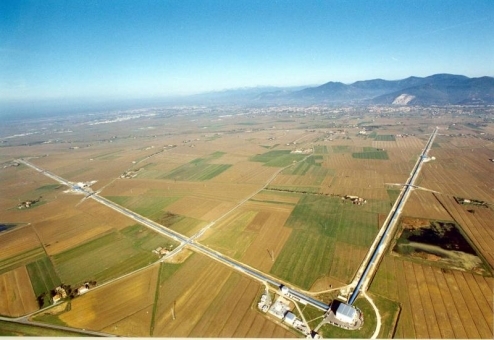 The Advanced Virgo detector near Pisa is a Michelson interferometer with 3 km arms. It should detect the passage of a gravitational wave by measuring the phase shift between two laser beams propagating in the two arms. The French-Italian detector Virgo joined LIGO in a second phase in 2016.